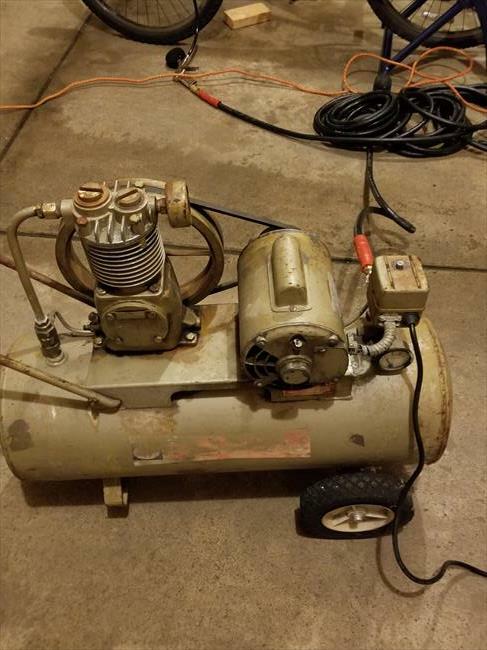 Well one day of October 2018 I was walking my dog and I could see this air compressor on the curve with a sign FREE, so immediately I went home started my car and crossed my fingers to find the machine, luckily I found it and took home with me. 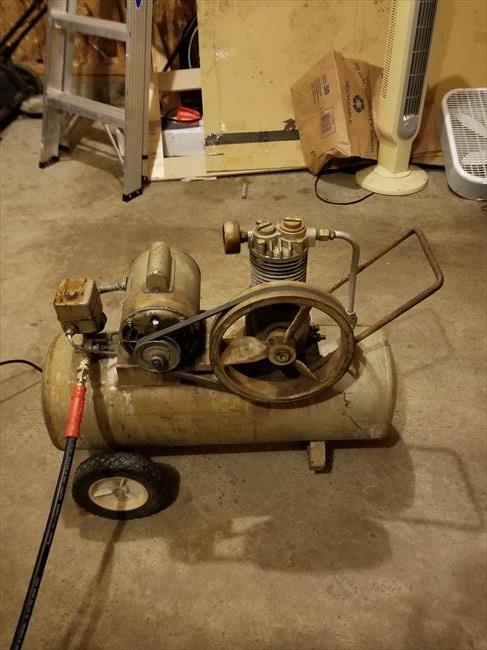 As you folks can imagine my wife's complaint did not delayed long, " You always picking up garbage", but for me this is not only a machine or air compressor it is also a piece of history in which many people took part. 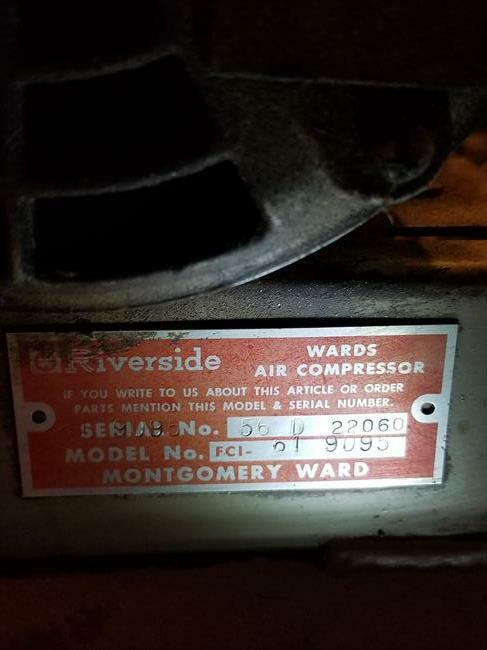 Now I know a little bit more about Montgomery Ward & Co,Riverside,Furnas Electric Co.,and Wagner single phase AC Motor. I love my air compressor and planning in taking good care of it.